Follow some of these search tips to make your searching easier on google. Here are the some basic search operators. Calculate math equations directly in google search. Enter any math equation into the search box google calculate your answer. 2. Search Files By File Type. Search for specific types of files with the file extension. 3. Ignore Words And Characters. Ignore words in your search results. Type minus – symbol and the ignoring word in end of your search term. Search related pages by using the operator related: followed by the website URL. 5. Search Numbers In A Range. Search any products price in a range by adding two dots .. between two amounts. Check the time of any city or country by typing the word time followed by the city/country name. Get the currency conversion directly in google search. 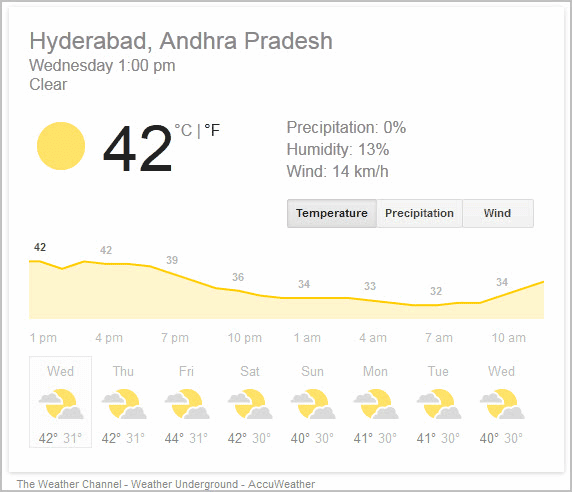 Get weather report of your city by simply typing weather. To check weather of other city type weather followed by the City Name or Pincode. Search definition of a word by using the define: operator followed by the word. 10. Solving Fill In The Blanks. Convert units of Length, Mass, Speed, Temperature, Volume, Area, Fuel consumption, Time and Digital Storage. You can follow the same process for others units. I never knew we can also calculate mathematical equations on Google search, this could be of a lot of help to students. Now i won’t be needing calculator while studying on my computer. I also didn’t knew about searching files by their file names, this is another good feature of Google search. Thanks for sharing all these tips, i am sure all of these techniques will improve my searching ability. Thanks Majaal for commenting here..
Have you seen Google Calculator in your search results?. 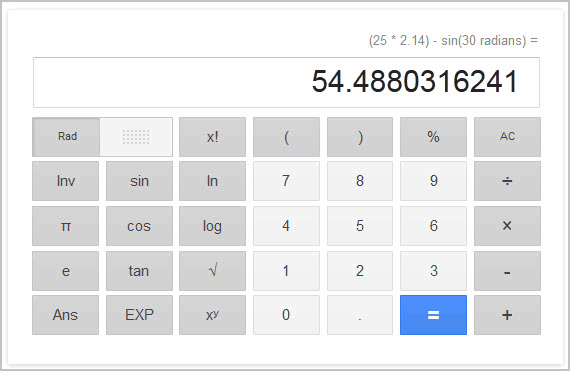 Now Google(search) any mathematical equation like 2+2 , 6/20 … etc Google will show the Online calculator with result like in the below pic. See Google Calculator. Share this post if you liked it. Google Scientific Calculator Read More Tips, Tricks And Facebook Tricks.